That Fit has been completely redesigned. Its adventure and fun with front-seat karaoke to every bit of the car. It’s got space for practically everyone and anything, thanks to four different interior configurations. And it ’s packed with technology you’ll love. Give them something to snap with the new Fit Sport. 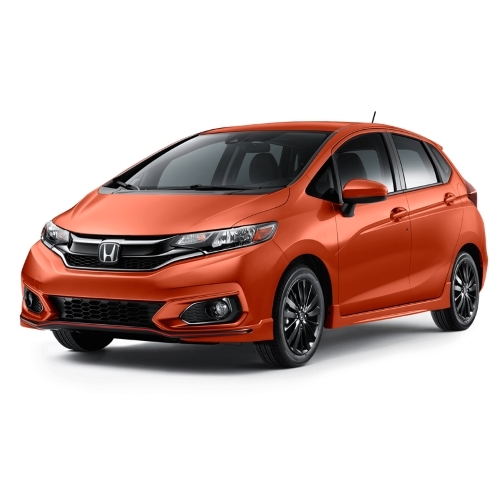 The new Fit is Packed with excellent features like a chrome exhaust outlet, fog lights, and an orange-accented interior. On top of these exciting features, it has got gloss black 16-inch alloy wheels, race-inspired paddle shifters, and a rear diffuser. You’ll get everything you want out of your drives plus a little more. Wanna grab brunch? Fit can take you all over the city and easily find space in those crowded parking lots. And with its versatile cargo modes, you can carry everything1 you pick up on your jaunts around the city. The fit is every bit as functional as it is fun. It has got great styling and features like Android Auto and Apple CarPlay you’ll be ready to go anywhere, whenever your next adventure calls. Got a Dog friend? tall friend? Plant friend? With Fit’s brilliant engineering and a little magic, you can easily bring them along. The interior is very spacious. It has room for five, and the rear seating has Magic Seat which helps you configure your Fit in four different ways. The Fit is here to help keep you on track with Honda Sensing, an available suite of safety and driver-assistive technologies that can help you avoid collisions. Long highway drives are easier with LKAS Fit for the confidence of keeping your hands on the steering wheel, which subtly adjusts steering to help keep the Fit centered in a detected lane. You can set a certain interval behind a detected vehicle with ACC. ACC helps you maintain the set distance. With this feature, you don’t have to manually change your speed. CMBS helps by stopping Fit when it identifies that a frontal collision is unavoidable. RDM can identify when you cross over lanes without signaling. It can provide steering assistance indicating you to stay in your lane. IT can also be configured to apply brakes to keep from leaving the lane entirely. WIth smart entry and smart start you can keep your car key in your pocket or purse and start the engine conveniently with the push of a button (EX, EX-L). Available Apple CarPlay integration gives access to Apple Music,® Maps, Messages and phone calls through Siri® and the Display Audio touch-screen. AndroidTM smartphone users can access Google Maps, Google Now messages, music and other popular apps with the available Android Auto feature. Every Fit has a Bluetooth Hands Free Link. Using BT you can place or receive a call without losing the road view. Connect your compatible smartphone, MP3 player or flash drive via USB, and you can play music and charge your devices. Touch-screen technology is right up front. 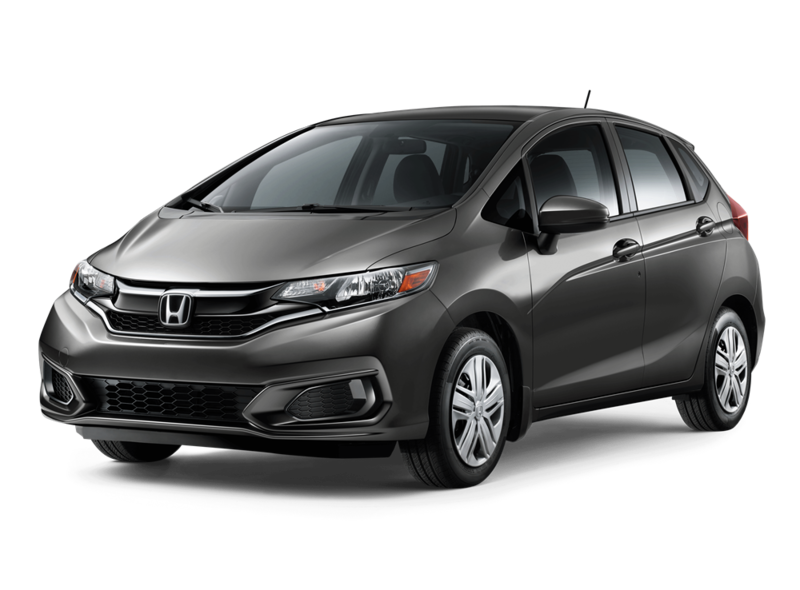 The Fit has got a 7-inch Display Audio that’s a swipeable and pinchable command center for your communication, music, and information. Other features include Paddle Shifters, Honda Satellite-Linked Navigation System. When it comes to comfort, the Fit has got your back. 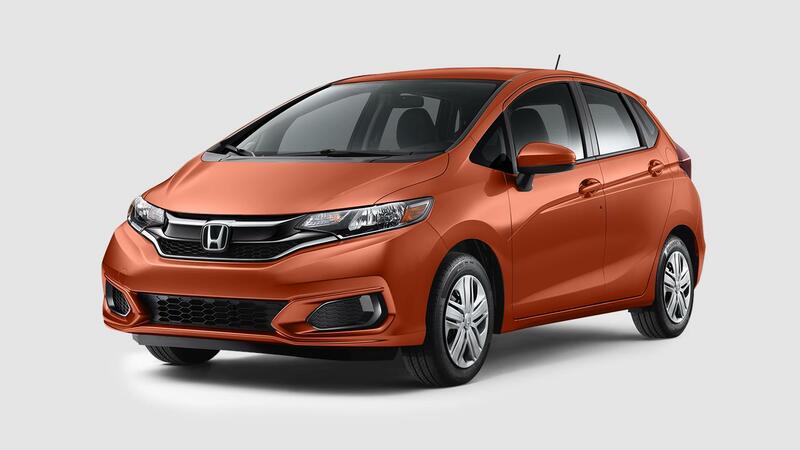 With a leather-trimmed interior and cozy heated front seats, you will enjoy getting in your Fit every time (EX-L). Multi-Angle Rearview Camera is a standard feature on every Fit. It is an incredibly useful feature as it shows what’s behind you from three different angles; Top-Down, Normal, and Wide. 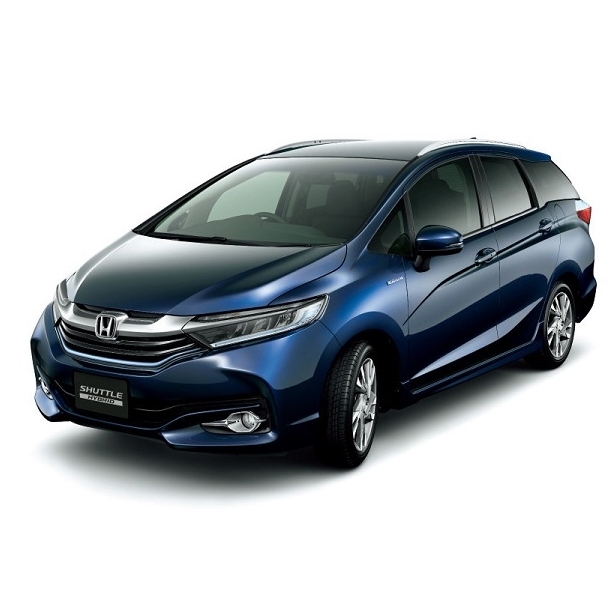 The Honda-exclusive ACE body structure design utilizes a network of connected structural elements to distribute frontal crash energy more evenly. The available continuously variable transmission allows the engine to operate at optimal RPM levels and helped the Fit receive an impressive 40-mpg highway rating. This eco-conscious technology comes standard on every Fit, and on models with a CVT, the ECON button helps you maximize your fuel economy.